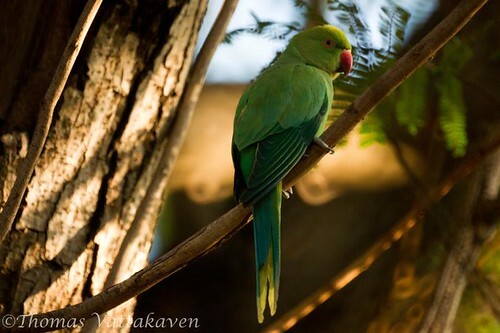 The Rose-ringed Parakeet (Psittacula krameri) is one of the few species of parakeets that have successfully adapted itself to the deforestation and urbanisation of its jungle habitat. 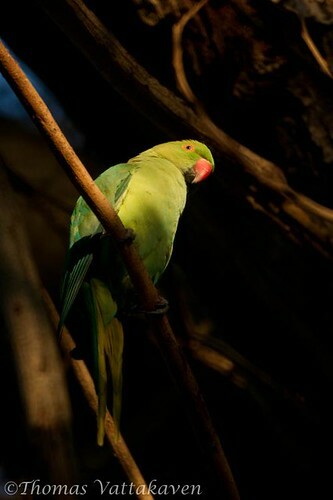 You are very likely to encounter this species in city habitats such as parks and gardens. 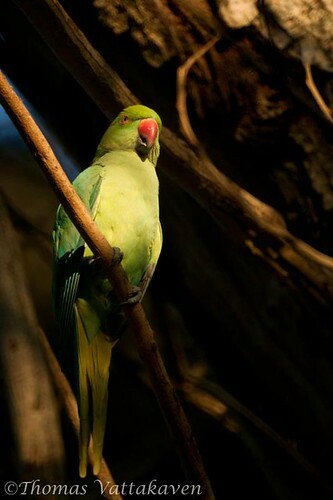 These birds are sexually dimorphic and featured here is the female of the species. The male has a a black neck-ring and pink nape-band while the female as you can see from these pictures, lacks them. 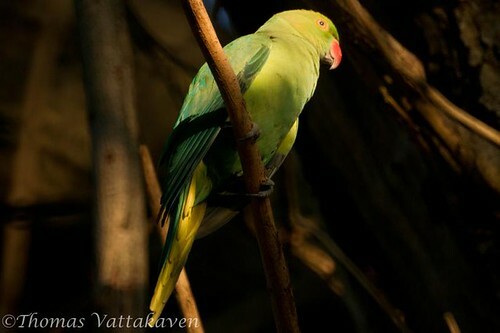 There are two sub-species in India - the south Indian sub-species P. krameri manillensis has a blaack lower mandible, while the north Indian one has a red lower mandible. In the wild, this species feed on buds, fruits, vegetables, nuts, berries and seeds. They can descend upon farmlands and orchards in flocks of hundreds of birds and can cause considerable damage to crops. 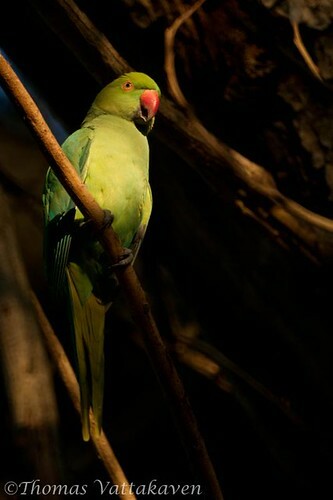 They nest in holes in trees, under roofs, and in holes in walls and their breeding season is from January - May in India. 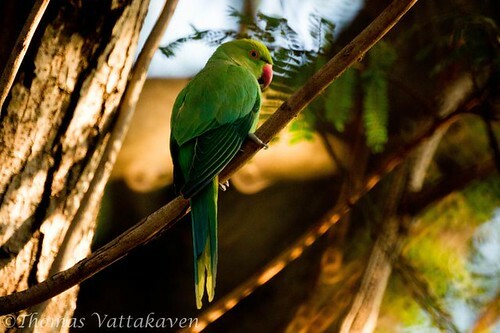 This bird was photographed at Cubbon Park, in Bangalore.